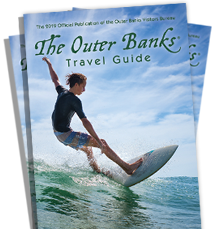 Whether you&apos;re working with a senior group or school group, the Outer Banks of North Carolina is an ideal year-round Group Tour Destination. Motorcoach group tours will be captivated by our cultural, historic and natural attractions. From Wright Brothers National Memorial, The Lost Colony Outdoor Drama, the Cape Hatteras Lighthouse and the Elizabethan Gardens to the quaint waterfront shops of Manteo, we can help you customize a group tour itinerary sure to please any group. Our Online Group Planner is located below with links to a complete listing of group friendly accommodations, restaurants, activities, attractions and suggested itineraries. Entertainment/Activity Suggestions for your group. We invite you to come, explore and uncover centuries of journeys in our rich coastal destination. Please check out our itineraries! Again we thank you for interest in the Outer Banks of North Carolina and we look forward to hosting you and your group as visitors to our windswept islands.